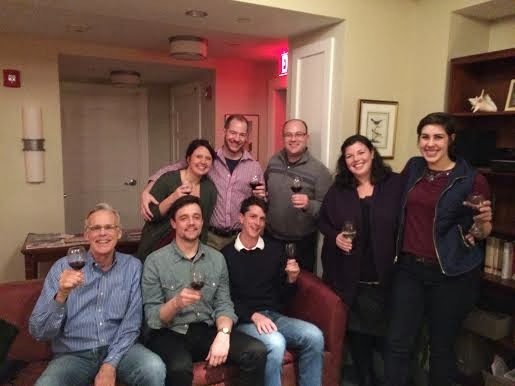 This wine-tasting crew. I apologize for not being as effusive/elaborate as I was in June, but our group has grown (several others are missing) and it's hard to keep up! By the end of the evening, the ten of us who participated sample three white wines and seven reds. We had a lot of fun, to be sure, but the size of the group really made it difficult to do any exhaustive analysis: we'll have to re-adjust the size next time.